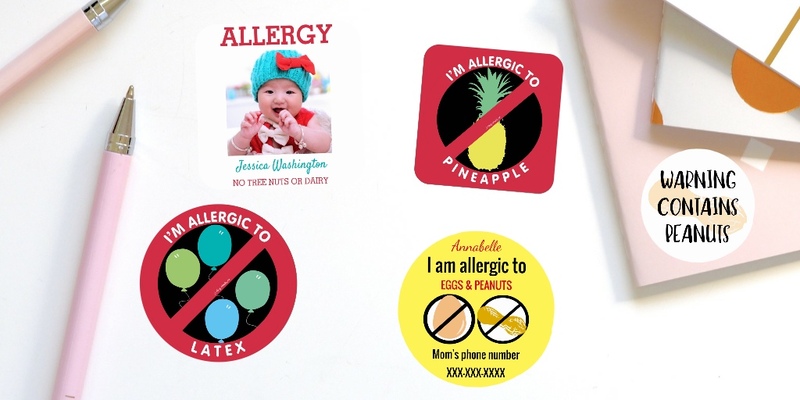 Shop our online store through Zazzle to order allergy alert small round kids allergy tags. Tags are double sided so you have plenty of room for text and graphics on either side. 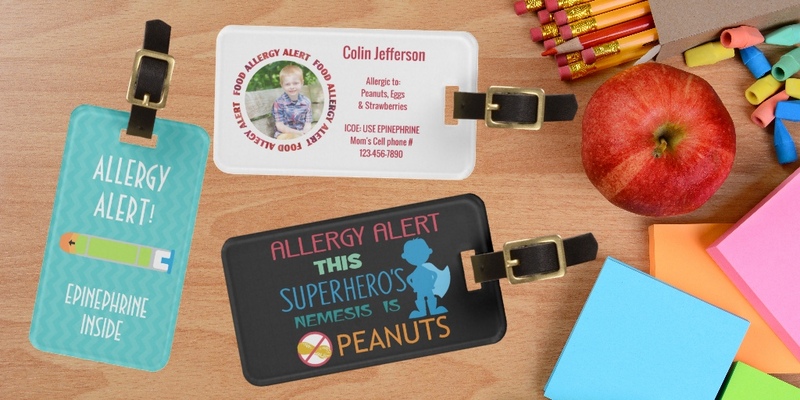 Tags can be personalized with name, allergens, contact info or pictures. Choose from designs alerting to specific allergies, general allergies or with images of epinephrine to help locate medicine. 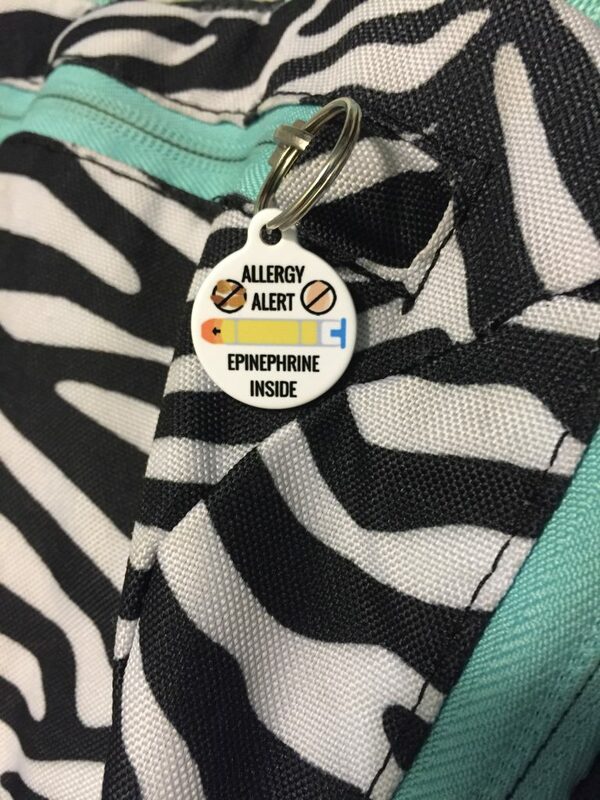 Attach these tags to medicine kits, lunch boxes, or book bags to alert of allergies or add text to explain epinephrine is inside. 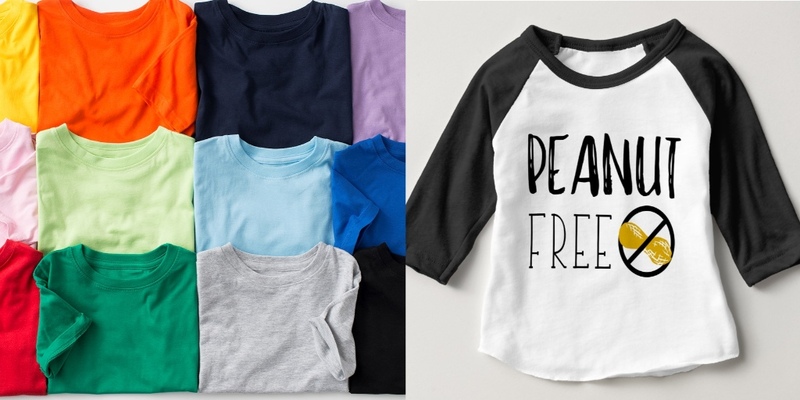 Modern stylish designs with kid-friendly graphics. Although we a variety of sizes of acrylic and button keychains, as well as large luggage style tags and pinback buttons, these offer another smaller size option. Sometimes we need to have creative solutions to find the best product. 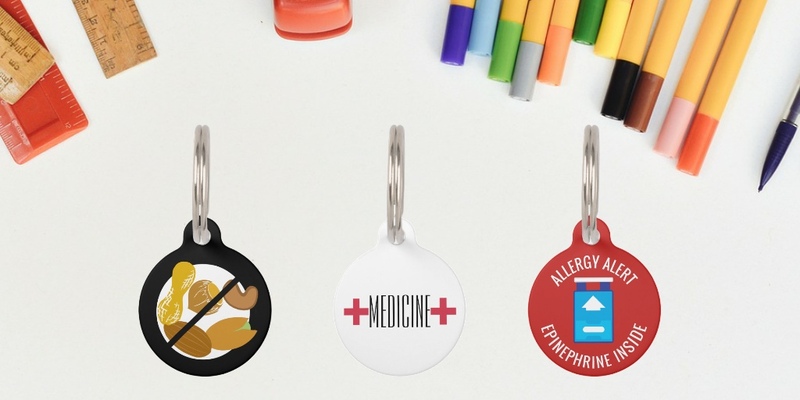 These are officially listed as pet tags as they are made by Dog Tag Art but we have found they are a GREAT size for book bags and medicine kits. These tags, made in the USA with 100% recycled steel and are guaranteed to never wear out. Each tag comes with a metal key ring. Dimensions: 7/8” diameter (small), 1 ¼” diameter (large). Need help or want a different design? CONTACT US and we will work with you to create the perfect tag for your needs.